Encourage Cardinal Dolan to excommunicate Governor Cuomo for signing legislation that allows infanticide. Click here to send your email to encourage Cardinal Timothy Dolan to excommunicate New York Governor Andrew Cuomo for his egregious and boldly immoral support for partial birth abortion, infanticide. 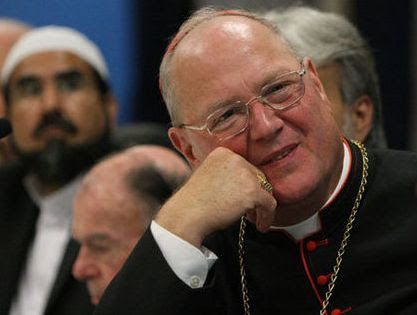 Fourth, Cardinal Dolan states “excommunication would not be effective as many politicians would welcome it as a sign of their refusal to be ‘bullied by the Church,’ thinking it would therefore give them a political advantage.” However, enforcing church doctrine regarding the sanctity of life and celebration of immorality should be the priority over concern about how politicians may use excommunication to their advantage. Florida Family Association has prepared an email for you to send to encourage Cardinal Timothy Dolan to excommunicate New York Governor Andrew Cuomo for his egregious and boldly immoral support for partial birth abortion, infanticide..
New York’s Abortion Law Fails By Every Measure. https://drrichswier.com/wp-content/uploads/excommunicate-cuomo.jpg 382 640 Florida Family Association http://drrich.wpengine.com/wp-content/uploads/logo_264x69.png Florida Family Association2019-02-05 06:53:022019-02-05 14:06:56Encourage Cardinal Dolan to excommunicate Governor Cuomo for signing legislation that allows infanticide. It is important that a Beck style excommunication take place in a public forum. The same words towards Cuomo and any Catholic politician should be used.